People ask me all the time about sunscreen for little. Which is best? Why? How do you tell the difference? Where do you find the safest ones? Why does safety matter? I'll say this - I'm no expert. But I do have 28 years of living on this planet, 6 years of being a parent and about 4 years of being WOKE (do we still say that? probably not) to the chemicals, harmful effects, and straight up junk in most products, foods, etc we all use on the daily. So I feel I can talk about this with a bit of authority and know-how. While it's still a little gloomy and chilly here (sorry, East Coast friends, I know you're in a blizzard! ), it is officially SPRING! Usually around this time of year I'm cleaning up our toys, school shelves, hall closet and pantry. Tidying up, tossing anything that's not serving the family in this season and replacing old and battered things with fresh new ones. These last few months have been the strangest weather in Southern California. It was pushing triple digits on Thanksgiving, incredibly dry and windy with the Santa Anas blowing causing fires to spread far too rapidly, and now fog every morning and every evening as thick as freshly whipped cream. As the rest of the country seems to be under bitter cold and snow (or too cold for snow!) it seems like we could all use some skincare advice for these confusing weather patterns. Luckily, as a Beautycounter consultant, I have pretty much everything on hand for every sort of weather. Brightening masks and facial oils, nourishing, rejuvenating and balancing - I've tried it all. And while it is nice to be able to walk in to my bathroom and grab the brightening facial oil because it's incredibly dry outside and chilly and I just want some light and bright back in my face - I find it's easier to have a few essentials that work with whatever the skies have to throw at me. The Charcoal Cleansing Bar is the go-to for an everyday deep cleanse. It detoxifies and absorbs impurities in your skin without drying it out, resulting in a smoother, brighter complexion. Made with antioxidant-rich, organic green tea and hydrating organic coconut oil, the gentle formula can be used daily on your face and body. Double-duty for a quick cleanse. 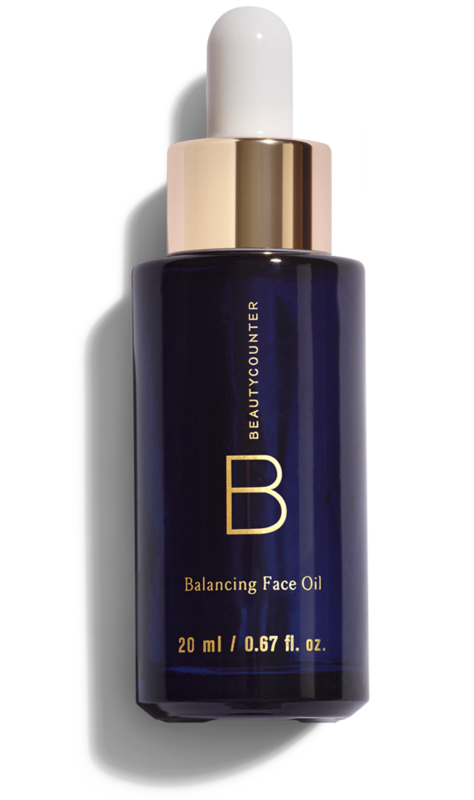 I follow that up with a few drops of the Balancing Facial Oil which is the perfect lightweight oil for all skin types. Softening meadowfoam seed oil restores balance, while wild chamomile calms and soothes skin. And if you haven't tried a facial oil yet you really should hop on the bandwagon - my skin has been transformed since using it. 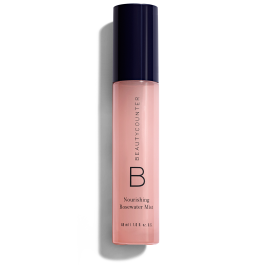 For any weather the Countermatch moisture lotion is like a strange sort of magic that uses Bio-Mimic Technology harnesses the unique life-giving properties of plants to exactly match the structure of skin, giving it precisely what it needs and nothing it doesn’t. Basically, it helps your skin adapt to whatever's thrown at it - stress, weather, etc! Once a week I use the Balancing Facial Mask to scare my kids and make my skin glow. This nutrient-rich kaolin clay mask purifies and balances, absorbing excess oil and drawing out impurities. Activated charcoal minimizes the appearance of pores, giving skin a smooth, refined appearance while salicylic acid stimulates exfoliation. All that to say it's perfect for all skin types and situations. Throughout the day I use a spritz or two of the Rosewater Mist which is a skin-softening toning spray and gives a little oomph when you're feeling dull or try. Whatever the weather may bring you, it shouldn't require an arsenal of products to keep your skin looking and feeling nourished and clear and bright. And it also doesn't take too long to toss these on and go!